For every pair of shoes that is manufactured, 30 pounds of CO2 is released into the atmosphere. Considering 25 billion shoes are sold each year, that is a huge amount of damage. 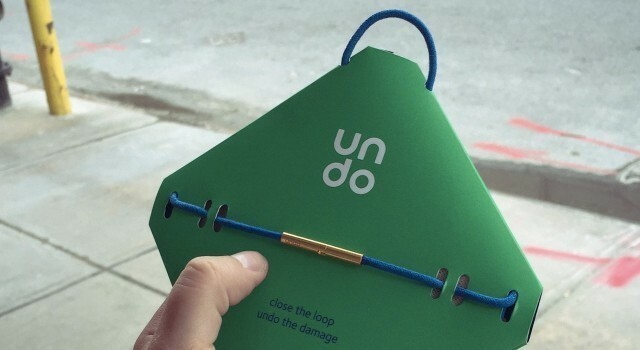 Now, UNDO Labs have created UNDO Laces, which aim to offset the carbon footprint of shoe manufacturing and reverse some of that damage. UNDO Laces feature metal aglets which close the loop of the shoelaces, representing the closed loop of the product’s manufacturing cycle. UNDO Labs will purchase offset credits from reforestation and sustainable energy organizations to balance out the CO2 created in the manufacturing of each pair of shoes. The aglets also enable the wearer to easily replace shoelaces through a clever mechanism: the new lace is temporarily connected to the old one so that when the latter is removed the new lace is automatically threaded into place. 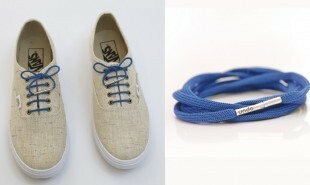 The cost of carbon offsetting is integrated into the price of the laces which are currently crowdfunding on Kickstarter. Backers can pre-order a pair for USD 9 and they are expected to retail for USD 18. Buyers can also choose which project they wish to contribute to via an UNDO Labs app. Could other products include carbon offsetting into their price to encourage more eco-friendly consumerism?